Sculpture Size: 8.5 X 7 X 3.5 in. Celebrate Mother's Day with Tim Cotterill's stunning new flower release, "Magnolia." 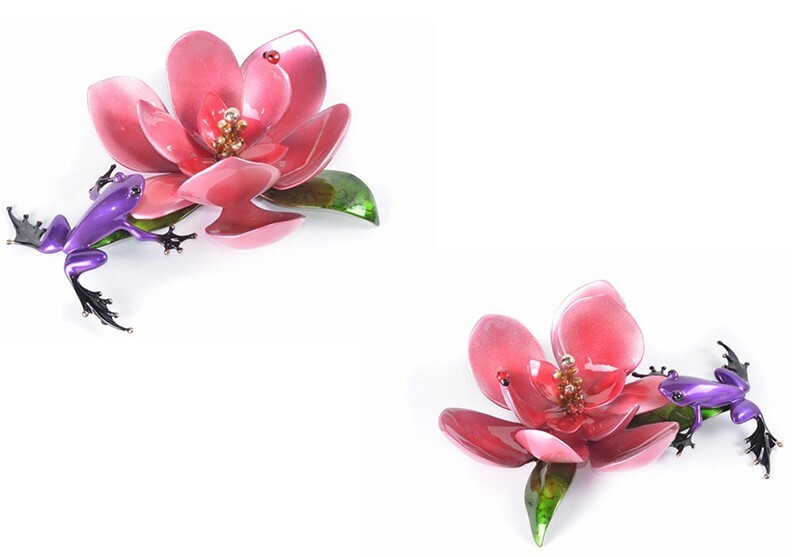 A brilliant pink blossom provides the ideal tableau for a vibrant purple frog, as he gazes intently at Tim Cotterill's iconic ladybug. Drawing inspiration from his very own lush garden, Tim Cotterill clearly pays homage to mothers everywhere with the lovely "Magnolia."